Opinion: Do Manchester City Need Another Centre-Back In January? 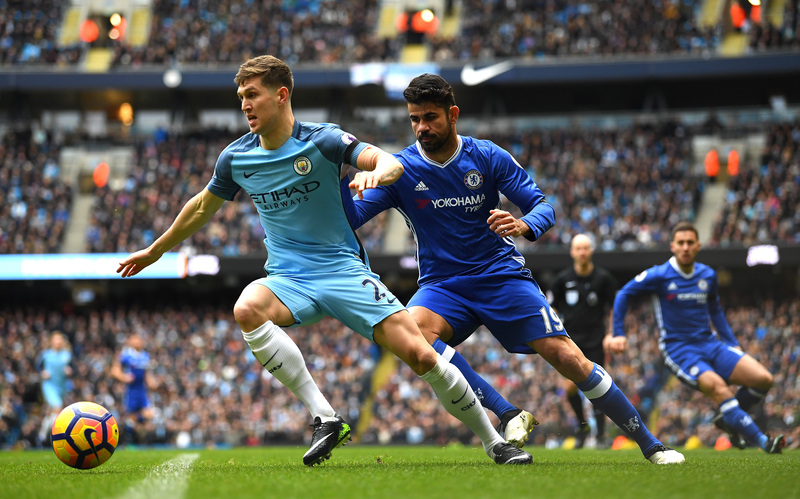 Home Features Opinion: Do Manchester City Need Another Centre-Back In January? Every season, Manchester City invest in a new centre-half, without ever seemingly strengthening their defence. After the 3-1 home loss to Chelsea, the cheque book could well come out again in January. 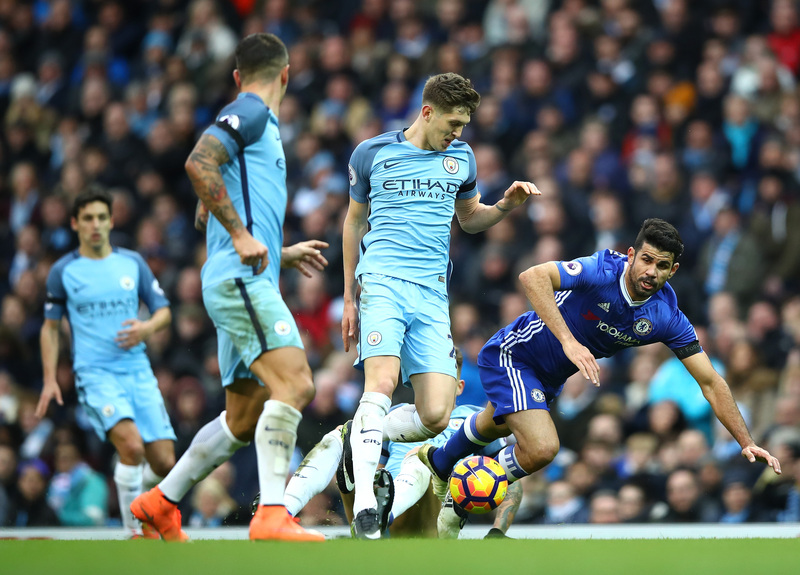 The Chelsea defeat was somewhat flattering to the visitors, considering Kevin De Bruyne missed an open goal in the second half to put City 2-0 ahead. However, it always felt like 2-0 wouldn’t be enough for City, given their haphazard defending style. It should be said that Chelsea’s heralded defence under Conte was a shambles too in what was a chaotic match of attack triumphing over defence. But watching the City back three, the two break-away goals from Willian and Eden Hazard to clinch the match for the Blues almost felt inevitable. Firstly, it was a strange move by Guardiola to revert to a back three for this match. The team had no doubt practiced the formation in training but to put it into practice in their biggest league game of the season was a gamble. Secondly, if you are going to play a back three, than everyone needs to have sharp defensive instructs – when to cover the wing-back, when to push up or play deep, when to tuck in and defend the middle of the pitch. If you are looking for three players to make the right decisions in these scenarios, then John Stones, Nicolas Otamendi and Aleksander Kolarov wouldn’t be particularly high on any list. As a collective, they all look like they would struggle to sit through a full movie, let alone concentrate for a full ninety minutes with all the distractions and hoopla of a Premier League match. Kolarov, in particular, has always been noted for his attacking abilities and defensive frailties. Yet, he was tasked with being the part of the last line of defence. When the opposition have the ball, his minds seems to wonder to his next meal or next car, and not potential dangers. 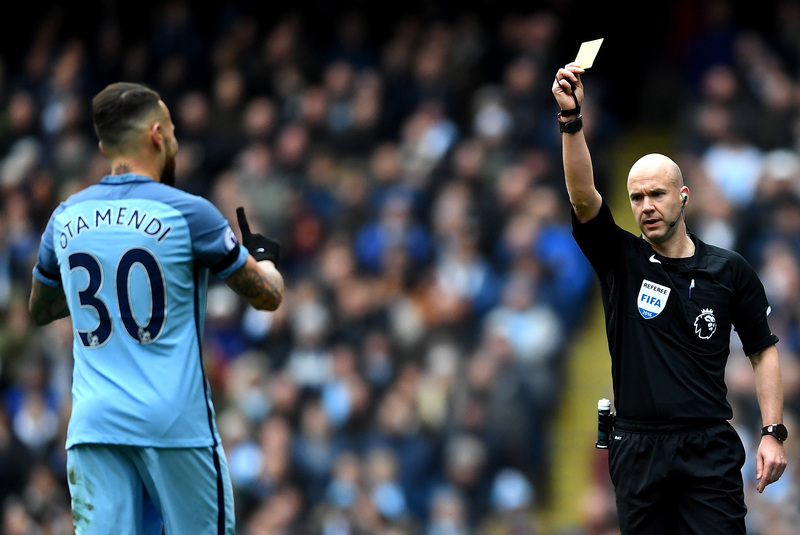 Otamendi, £32 million purchase last season, is yet to show that he was not another costly mistake. Similar to Vincent Kompany and Laurent Koscielny, Otamendi’s favourite tactic is to temporarily vacate the defensive line to try to nick in front of the attackers to steal the ball. The problem is that Kompany and Koscielny are good at this, picking the right moments to push up and knowing when to drop back, while Otamendi seems to do it at every opportunity. Stones, a £47.5 million investment can be afforded a little more slack, given his relative immaturity, but for that kind of money you expect him to be a faster learner than he is showing at present. He now looks hesitant in bringing the ball out from the back, probably wary of the critics who lambaste his risk-taking. And in an effort to look like a commanding presence, he waves and points to positions to be covered on the pitch, without knowing where to put himself. If you didn’t know their value, you would struggle to believe that these defensive mavericks cost close to £100 million. This is not a new problem for City. For many years they failed to find the right partner for Kompany at centre-half. Then they had to find a replacement for Kompany, when injuries meant he could only bring a calmness to the defence in all too short bursts. Along with Stones (£47.5 million) and Otamendi (£32 million), you can add Eliaquim Mangala (£40 million), Martin Demichelis (£3.5 million), Matija Nastasic (£12 million) Stefan Savic (£6 million) and Joleon Lescott (£22 million). This totals an investment of £163 million on centre-halves that all failed to convince. If you contrast that with Tottenham, whose classy pairing of Toby Alderweireld and Jan Vertonghen cost a combined £21.5 million. Or Southampton, whose pairing of José Fonte and Virgil van Dijk cost £11.5 million. Then you wonder how City have get it so wrong? Perhaps it is entirely unfair to blame centre-halves. It is often a lack of security from the midfield that causes defensive problems and in City’s case this is definitely arguable. Since Roberto Mancini’s departure, City have had two attack-minded managers in Manuel Pellegrini and Pep Guardiola. Interestingly, the number of goals City concede in the league has steadily rose from 34 in Mancini’s last season to 37 in 2013/14, 38 in 2014/15 and 41 in 2015/2016. This season with 15 goals conceded to date, means Pep’s City are on track to continue the trend. It may be no coincidence that City’s leanest seasons (2010/11: 33, 2011/2012: 29 2012/2013: 34) came when they predominantly used a specialist holding midfielder in Gareth Barry. 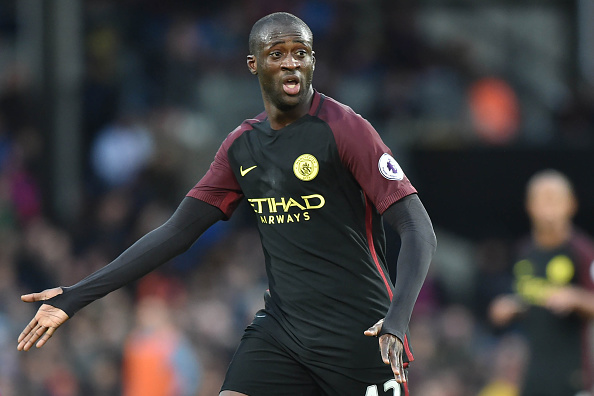 Since then, Fernandinho arrived to join Yaya Toure in an attack-minded midfield, with Fernandinho having to run around like a headless chicken to make up for the lack of running on Tourés part. You could say that this is not the ideal cover for two centre-halves. Regardless, for all of is attacking depth, the current City squad is severely lacking in centre-halves. The only recognisable names in this position are Stones, Otamendi and the forever injured Kompany. So unless Guardiola plans to blood one of City’s youngsters or try to convert another attacker into a defender, City will be relying on the erratic Stones and Otamendi for the rest of the season. Surely investments will be made in January, especially considering City’s hectic playing schedule. They need a commanding presence to marshal their defence and Southampton’s Virgil van Djik could offer just that. Or else, they have the funds to tempt Juventus into selling their prized defensive assets, Giorgio Chiellini and Leonardo Bonucci, who don’t have age on their sides but have the canniness and ruthlessness that City lack . Then again it wouldn’t be a surprise if Guardiola didn’t invest in the defence. He strikes as a stubborn man and to buy a Chiellini would oppose his own footballing principles that were adhered to with the skillful Stones. Although, Man City fans may prefer a decisive hoof into the stands to the indecisive, lack of focus that continues to pervade their defence.